Antique cars from all over Idaho showed up to support the Guide Dogs of America at the 5th Annual Stansbury Days Car Show. 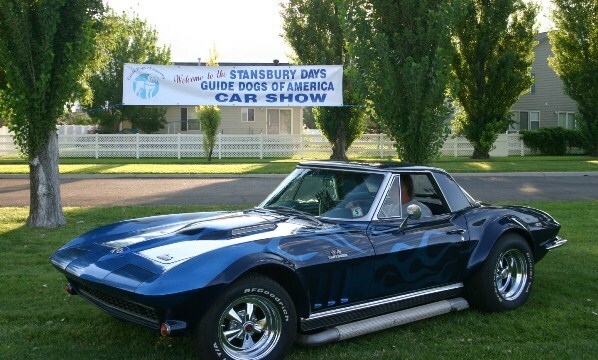 Seventy-five cars showed up to the 5th Annual Stansbury Days Car Show at Stansbury Park, UT, making this Guide Dogs of America fundraising event a tremendous success. “This show is a labor of love for me and my wife Glenna,” said Western Territory Grand Lodge Representative Mike Wardle. This year, Glenna donated a handmade quilt that raised $325 at auction. Volunteers traveled from as far away as Wendell, ID, to assist with the event. All proceeds for the event went to Guide Dogs of America, which provides guide dogs and instruction in their use, free of charge, to blind and visually-impaired men and women from the United States and Canada so that they may continue to pursue their goals with increased mobility and independence.